Yes, I play for all kinds of occasions! 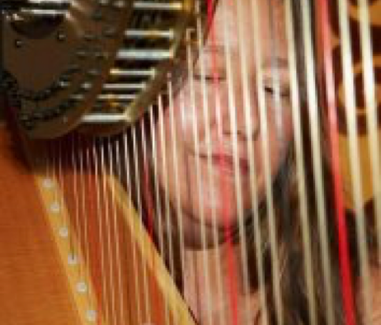 I’ve been playing the Harp Professionally for over 40 years! For most events, I play a ‘something for everyone’ mix of styles: Classical, Classic Rock, Jazz, Blues, Celtic, Paraguayan, Pop, Standards, and/or whatever else you might request. I play both acoustic & electric concert harps, depending on the event, the number of guest, & the location. For churches, acoustic harp is perfect. For large ballrooms or other large rooms, or gatherings of 75 or more people, I recommend the Electric Harp. I bring my own sound equipment. For Weddings, you get to come to my home & plan the music. If that isn’t possible, we’ll plan the music over the phone, on Skype, FaceTime, or through emails. We will discuss your wedding plans, I’ll play selections on my harp for you to help determine your preferences, and we will customize the music for your special day. I also play with a variety of other musicians, and can help you find a flute player, a violinist, a cellist, Bassist, trumpet player, or if you have a vocalist, I can accompany them as well. If you are organizing a Church service or Orchestral/choir performance, I am equally at home as a soloist or an accompanist, and can play off sheet music you provide (or my own), or improvise to lead sheets. All events that I perform for are customized just for that occasion.